Get started with local development and debugging with Eclipse and the PyDev plugins. This configuration allows you to run your App Engine app locally in a debug mode and use Eclipse’s Debug perspective to set breakpoints and step through your code. 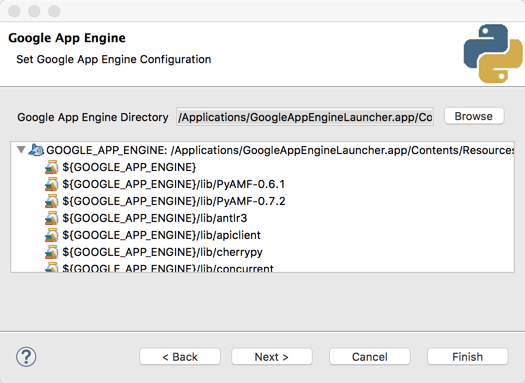 The PyDev plugins provide helper functionality for working with App Engine, including creating starter projects and deploying apps. Install Python 2.7 if you do not already have Python installed. Not sure? From the Optional section of the SDK download page, install the original App Engine SDK for Python. When the installation finishes, click Launch. When Eclipse launches, specify a workspace location or accept the default. 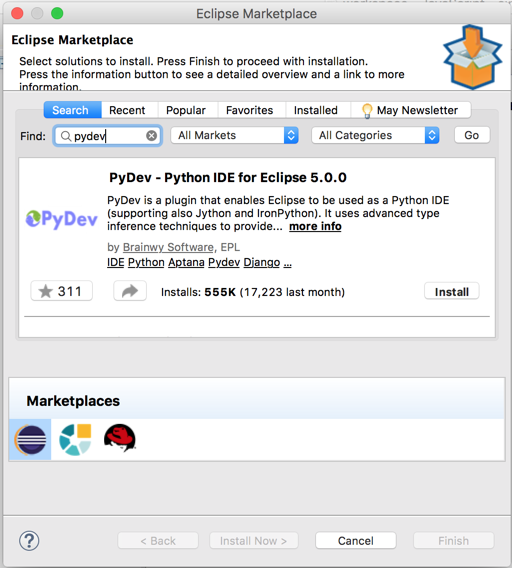 After you install Eclipse, you should install the PyDev plugin that allows you to use Eclipse as a Python IDE. In Eclipse, click Help > Eclipse Marketplace. In the Find field, specify "PyDev". Click Install and complete the installation wizard. Create a new project: Click File > New > Project. 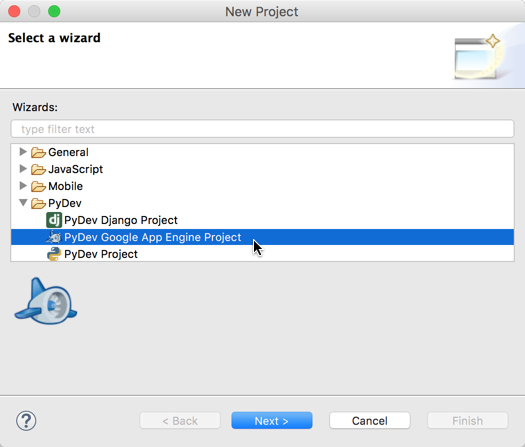 On the Select a wizard page, select PyDev Google App Engine Project. On the PyDev Project page, name the project. Then, let Eclipse configure the default interpreter by clicking Please configure an interpreter before proceeding. If Eclipse did not find a Python 2.7 interpreter, click the Click here to configure an interpreter not listed link to configure the interpreter. On the Google App Engine page, click Browse and locate the directory where you installed the App Engine SDK. Where is it? Click Next to continue to configure a basic project or click Finish to start with a blank project. If you are configuring a project, specify the project ID. To view your project ID, go to the GCP Console. If you have not yet registered a project, you can specify a temporary name that will be inserted into the project’s app.yaml file. You can change this name later if necessary. Choose a starter template. Recommended: Use the Hello World template to generate an app.yaml file and a simple Python script. You can later develop using your choice of frameworks, such as Flask or Django. Note: The PyDev starter projects are out of date and use the Python 2.5 webapp module. The location is where you extracted the SDK zip file that you downloaded. Import the library to your project. Select PyDev - PYTHONPATH in the navigation pane of the dialog. lib\, click Add source folder. extremely helpful during development of your app. Debug As > PyDev: Google App Run. development server, which includes the URLs that your app is running. If you used the Hello World starter template, you should see "Hello, world!" step through your code execution. are using the starter template. 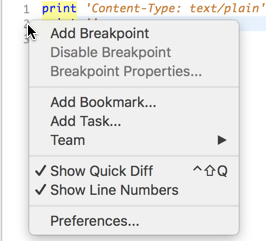 breakpoint and select Add Breakpoint. A green circle appears on the line where you set the breakpoint. If you are prompted to switch to the Debug perspective, click Yes. currently defined in your code. is encountered or execution finishes. current code rather than going into lower level code. finishes its execution to return you back to the calling code. World!" response to the browser. 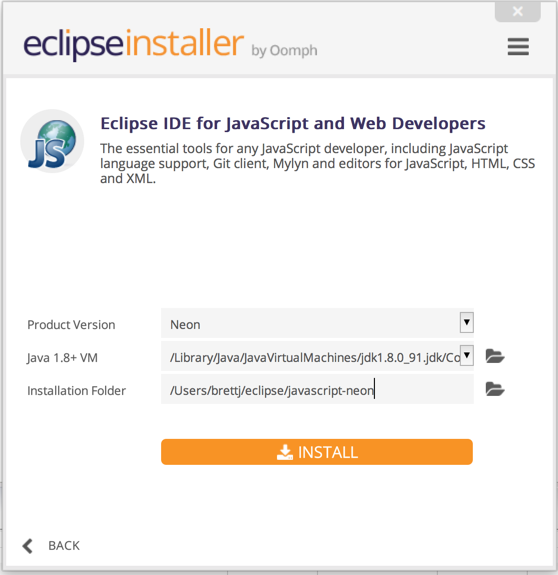 The PyDev plugin for Eclipse allows you to deploy your app from your workspace. application element to your GCP project ID. 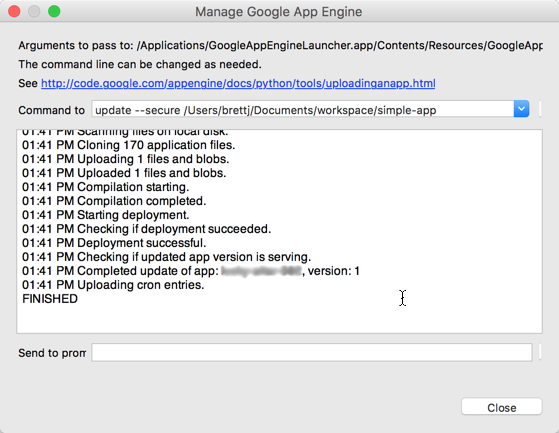 project folder and choose PyDev Google App Engine > Upload. modify your App Engine applications. Click Allow. "The authentication flow has completed" and return to Eclipse. Last updated October 22, 2018.